Lemme guess. No longer DIRECTLY responsible… for the governance of the Church? But remain in a new way, always and forever, in the enclosure of St. Peter, living out a passive ministry of prayer? NYPost on Pope Benedict’s latest document. You can’t make this up, folks. 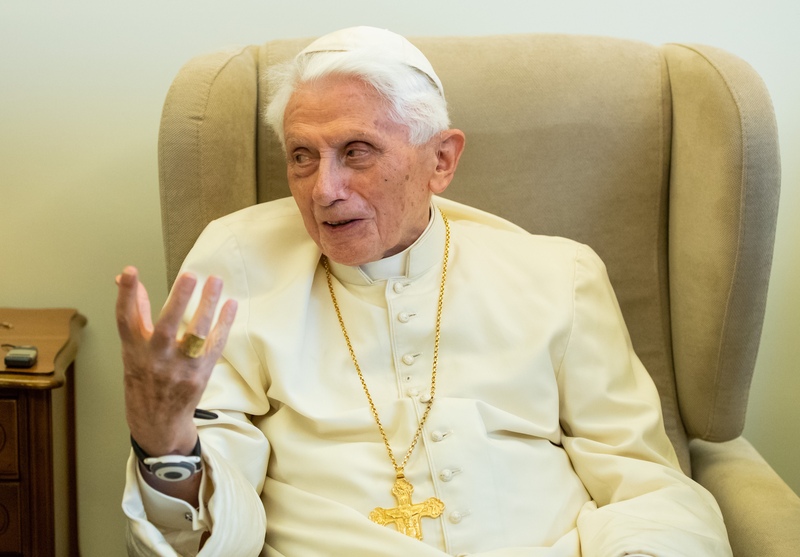 In the preface, he makes it clear that he is “no longer directly responsible” for the church and that he consulted Pope Francis (sic) before ­resolving to make the document public. UPDATE: Here’s the whole text. As one reader put it, he didn’t resign the Office, he simply announced that he would no longer be answering the phone. Which is to say, the See was not vacated, therefore it was and is logically, canonically and metaphysically impossible for a valid conclave to have been called. The College of Cardinals only has the ability to call a conclave if the See is vacant. No empty See, no conclave. Period. You can call as many fake conclaves and go through the motions as you want, but if the See isn’t vacant, it’s all totally invalid and canonically meaningless. The “always” is also a “for ever” – there can no longer be a return to the private sphere. My decision to resign the active exercise of the ministry does not revoke this. I do not return to private life, to a life of travel, meetings, receptions, conferences, and so on. I am not abandoning the cross, but remaining in a new way at the side of the crucified Lord. I no longer bear the power of office for the governance of the Church, but in the service of prayer I remain, so to speak, in the enclosure of Saint Peter. Saint Benedict, whose name I bear as Pope, will be a great example for me in this. He showed us the way for a life which, whether active or passive, is completely given over to the work of God.